We both have lots of happy memories made around bonfires when we were growing up in New Hope. From sitting around the fire and then jumping in the pool at friend's houses during the summer or bundling up and keeping warm during crisp fall evenings, bonfires are a great way to gather outside through every season. 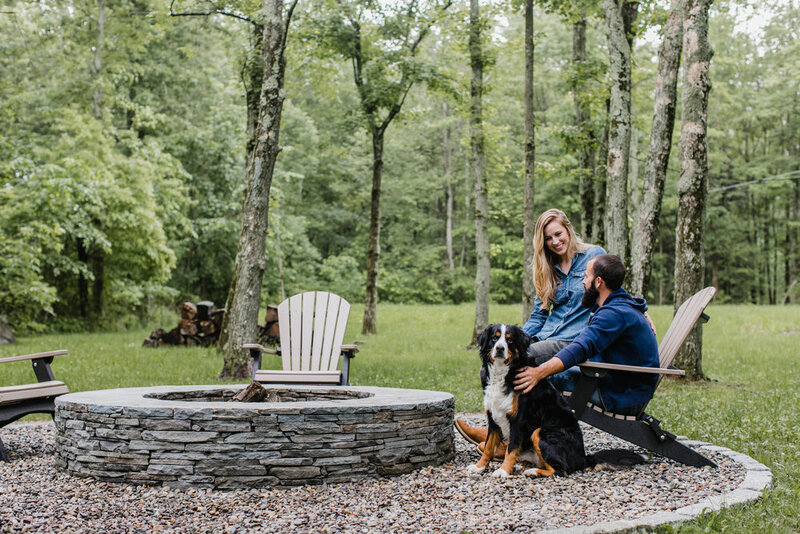 We knew when we moved into our house that we wanted to add a fire pit, and knew this would eventually become a place to gather with our friends and family for years to come. Mike got started on the fire pit this spring, and worked on it in the evenings and on the weekends. After the actual fire pit was complete, we realized that we needed some type of border to surround the pit and define the area. We created the border with Belgian block. We decided on river jack stone and first put down landscape fabric to ensure that weeds wouldn't constantly sprout up. Once we had the Belgian block and river jack in place, we had a steady foundation to add some seating around the fire pit. 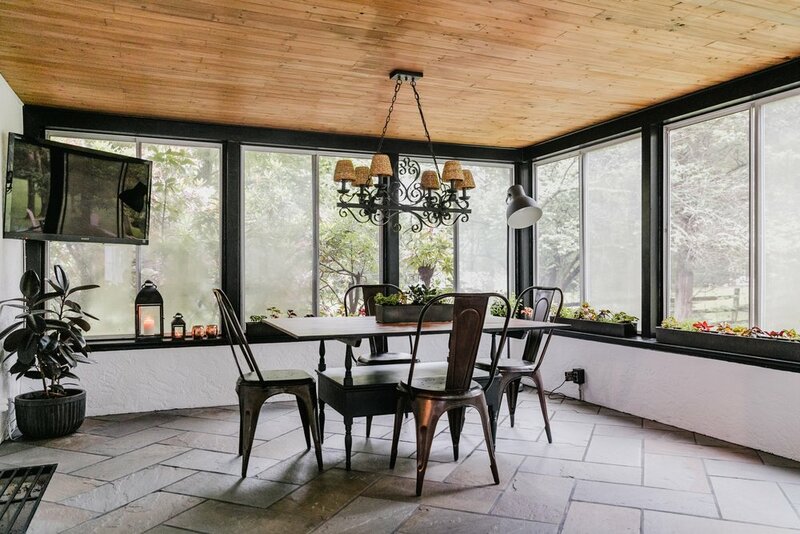 We found the perfect poly wood chairs right around the corner! We purchased the chairs from Country Wood Crafters at their Rice's Market location. 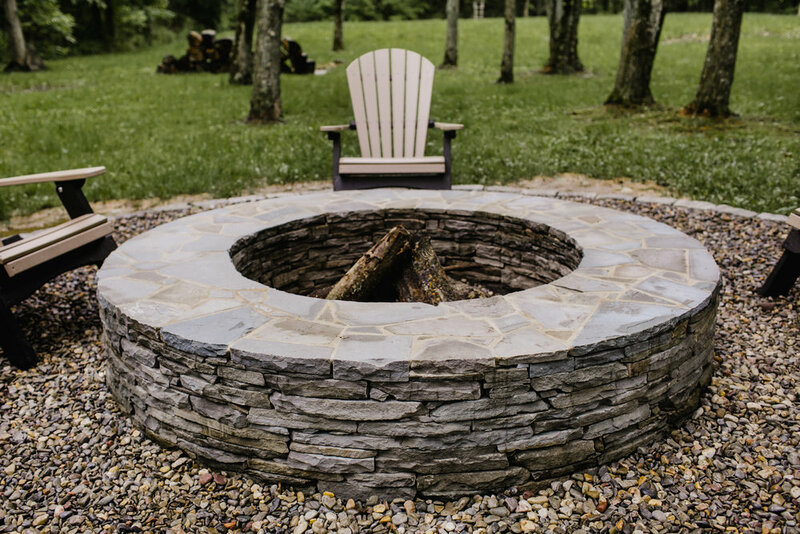 We think that the chairs really complete the fire pit area and love how the two-tone colors are a little different than what you would expect to see with a traditional Adirondak style chair. We are thrilled with the new fire pit and can't wait to make more memories around the fire!